Energy ranks alongside agricultural, land, water and sunlight as our essential resources. Energy is required for life and activities involving change. It comes in many forms: heat, chemical, electrical, kinetic, radiant, magnetic, mechanical and potential. Energy is consumed in several forms: Petroleum, natural gas, coal, renewable and nuclear. Energy flows are complex and governed by geographic locations, incomes and use by different sectors including transport, industrial activity, electric power generation and residential and commercial building activity. Energy security is a critical requirement for sustained and resilient economic growth. There is significant change underway in the mix of energy uses. Power generation from hydro, wind, solar and other renewable sources worldwide will exceed that from gas and be twice that from nuclear by 2016 (International Energy Agency (IEA) 2013). Renewables are now the fastest-growing power generation sector and will make up almost a quarter of the global power mix by 2018, up from an estimated 20% in 2011. The share of non-hydro sources such as wind, solar, bioenergy and geothermal in total power generation will double, reaching 8% by 2018, up from 4% in 2011 and just 2% in 2006 (IEA 2013). Some renewable have been seriously under-exploited including, for example, solar pumped storage hydroelectricity. Energy security ranks or should rank with food security as among the highest priorities for all countries, industries, companies, cooperatives, SMEs and individuals. Without energy it’s difficult to have food security, clean water, high incomes, productive industries, mobility, comfortable buildings or telecommunications. There is high correlation between energy use and income levels. There are, however, significant inequities in energy consumption between and within countries. Just 5% of the world’s population consumes 25% of the energy and most of it is from non-renewable sources. The International Energy Agency (IEA) defines energy security as existing when there is ‘…uninterrupted availability of energy sources at an affordable price…’ The Australian Government’s Department of Resources, Energy and Tourism define energy security with a wider and more appropriate brief: ‘Energy security is defined as the adequate, reliable and competitive supply of energy to support the functioning of the economy and social development’. Our view is that a diverse supply of energy sources is likely to be a feature of all sustainable energy systems. The energy mix changes over time. It’s hard to believe that we used only renewable less than 200 years ago. Then came a long period dominated by coal and oil/petroleum. Now the switch is on and back to renewable. It’s also hard to believe the US may soon become the world’s biggest energy producer and exporter, thanks to shale oil. There is also significant potential to improved energy efficiency. Over 50% of energy produced in many high income countries is wasted, often through heat loss. It’s almost certain that energy use will become cleaner, smaller and smarter of the decades ahead. It has to. What can we do to enhance energy sector performance in your country, industries and/or business? ● Prepare energy security framework and plans. ● Measure usage and establish benchmarks for competitive energy consumption and measures to close the gaps. ● Create an energy supply and demand framework. ● Help create an energy awareness culture and leadership to improve energy efficiency. ● Evaluate renewable energy performance and help implement renewable energy activity. ● Number of life cycle assessment studies, covering energy use in agriculture, food and other manufacturing, transport, storage and water use. ● Development of energy management strategy as a component of national development and corporate plans. 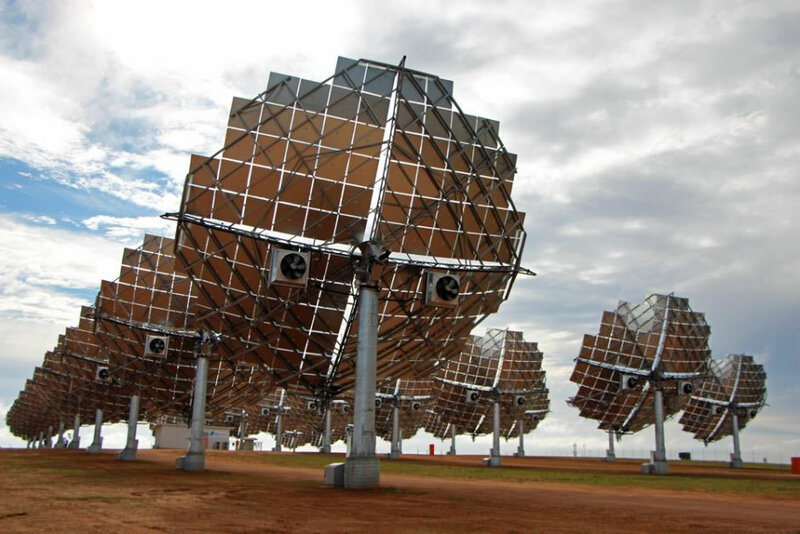 ● Evaluated different solar energy systems for remote area applications.